In Winter 2018/2019, the Climigration Network hopes to host an online panel of residents who have relocated or are in the process of relocating as part of a managed retreat initiative. If you are connected to potential participants who would be willing to share their stories in this session, please reach out to Maggie Osthues. Six coastal parishes participating in LA SAFE’s climate adaptation planning process now have projects being funded. When communities plan to retreat from disappearing coastal lands and high flood risk areas, their conversations range far beyond climate risk and disaster recovery. They want to talk about the challenges and opportunities in the places where they might be relocating. This webinar discusses Louisiana-based trends around climate-induced migration, and establishing equitable long-term adaptation strategies, including retreat. Liz Williams Russell and Mathew Sanders from LA SAFE, a partnership between the Foundation for Louisiana and the Louisiana Office of Community Development, will discuss their work with coastal parishes in 2017. The speakers will discuss how the LA SAFE initiative developed local leadership, engaged partners, and built trust by engaging existing needs, local experience and technical information. What do you think the proportion will be of spontaneous out-migration vs. planned/government-funded resettlement? How much training did the local facilitators get? What’s worked well? What have been the challenges, if any? Can you speak about any pushback from local elected officials? Did you separately engage them or in the public meetings? What has worked best for the Isle de Jean Charles resettlement program and what do you wish you'd done differently? Does Louisiana have enabling legislation that allows for the transfer of development rights within or between communities? Can you describe the relationship between LA SAFE and the reps for the economy-sustaining industries along the coast, whose sites need to be maintained? Liz directs the activities of the Foundation for Louisiana’s Coastal Resilience Leverage Fund, managing coastal grant-making areas with community-based advisors, allies and relevant partners. 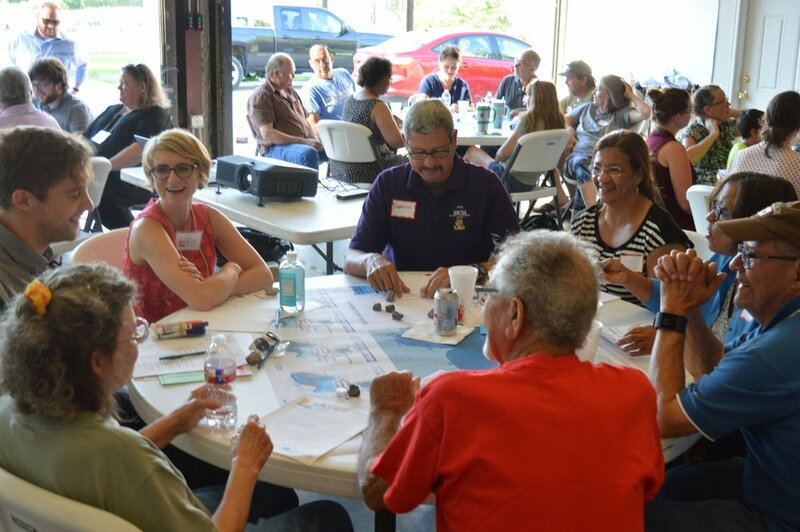 The Fund acknowledges and reinforces the work done by resident leaders and community-based organizations, working to provide opportunities for those most impacted by environmental risks to be key decision makers in how to address them. 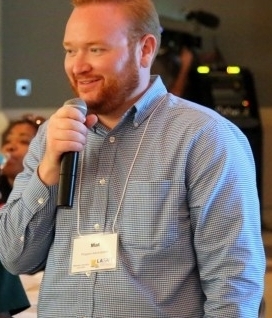 Mathew is the Resilience Program and Policy Administrator for the State of Louisiana’s Office of Community Development (OCD). He was the state’s project team lead for the NDRC application and currently leads the development of the two awarded projects: LA SAFE, and a $48.3 million award to resettle the Isle de Jean Charles community in Terrebonne Parish. CBI has concluded a series of conversations about funding and financing managed coastal retreat with a network of experienced and passionate individuals from across the United States who are thinking about and working on these issues. Below you'll find recordings, resources, and citations from all three webinars. This session continues our exploration of cutting-edge, creative financing options with participants Shannon Cunniff and Jesse M. Keenan. Shannon Cunniff is the director of coastal resilience for the Environmental Defense Fund (EDF). Shannon leads EDF’s development of strategies and tactics for reducing adverse effects of flood disasters while improving environmental outcomes. Her work builds on 27 years working in the federal government at the intersection of water resources engineering, risk management, and environmental policy. Currently she is working on strategies to enhance community capacity for multi-objective planning and implementation by expanding financing and increasing rewards for communities that pursue flooding resilience projects that include protection and restoration of natural infrastructure. Shannon conducts research and develops strategic plans and tactics for EDF’s coastal resilience program, organizes and runs workshops and trainings on coastal community climate adaptation solutions, and provides advice on working with federal agencies to resolve issues and secure action. Prior to EDF, Shannon worked at the U.S. Department of Defense as the executive director for Chemical and Material Risk Management, where she guided development and implementation of the Department’s Strategic Sustainability Performance Plan. Shannon was also the deputy director of the Interagency Floodplain Management Review Committee, formed by the White House in the wake of the 1993 Midwest floods, to address national policy and program implementation issues related to flooding and flood risk management. Jesse M. Keenan is a member of the faculty of the Graduate School of Design at Harvard University where he serves as Area Head and Director of Real Estate and the Built Environment. Keenan’s principle research focus is on climate change and the built environment, including aspects of design, engineering, and financing. Keenan has previously advised on matters concerning the built environment for agencies of the U.S. Government, Fortune 500 Companies, community enterprises and international NGOs. In conjunction with the federal government, Keenan serves as the Chair of the U.S. Community Resilience Panel for Buildings and Infrastructure Systems, as Review Editor of the Built Environment and Transportation chapters of the 4th National Climate Assessment, and as Editorial Co-Lead for the Built Environment at the U.S. Climate Resilience Toolkit at climate.gov. Keenan’s research in the built environment has partnered with a variety of global actors, including the AIA, Audi, Carnegie Corporation, Goldman Sachs, Google, Hulic Co., Ltd., ICC, MoMA, Mori Foundation, Lennar Foundation, NASA, Open Society Foundation, Regional Plan Association, Rockefeller Foundation, the State of California and the U.N. Keenan is the author of NYC 2040: Housing the Next One Million New Yorkers (Columbia University Press) and co- editor of Blue Dunes: Climate Change by Design (Columbia University Press) and Climate Change Adaptation in North America: Experiences, Case Studies and Best Practices (Springer). Keenan holds degrees in the law (J.D., LL.M.) and science of the built environment (M.Sc. ), including a Ph.D. in applied climate science and the built environment from Delft University of Technology. This webinar discusses the potential application of different "creative" mechanisms within public and private finance to managed retreat from climate change. This includes considering expansion into financing options that do not involve federally-allocated funding. The conversation features Katie Grace Deane and Jenna DeAngelo of the Lincoln Institute of Land Policy, and Mark Skidmore of Michigan State University, along with Bennett Brooks and Osamu Kumasaka of CBI. Watch the complete webinar below. "Fargo voters overwhelmingly approve half-cent sales tax for flood control", Grand Forks Herald, July 1 2009. "In Fargo, no panic this time as Red River rises", Los Angeles Times, March 21 2010. "San Francisco Bay Restoration Measure Clears Two-Thirds Hurdle", KQED, JUNE 8 2016. John A. Miller, P.E., CFM, CSM is a Water Resources Engineer pursuing a Master in Environmental Studies - Environmental Policy full-time at the University of Pennsylvania to increase his influence on water resources and floodplain management policy. His expected graduation is December 2017. Mr. Miller maintains his Professional Engineer licenses and uses his over two decades of engineering practice in his current endeavors. He is currently a Fellow in Senator Robert Menendez's Office, being advised by Dr. Howard Kunreuther of the Wharton School, assisting on the 2017 reauthorization of the National Flood Insurance Program. This webinar will focus on the National Flood Insurance Program and the various issues and likely debate related to its re-authorization, which is anticipated in 2018. John A. Miller, a leading advocate for the reauthorization of the National Flood Insurance Program, will present the webinar and share insights from his work with Senator Bob Menendez's office and the Office of Management and Budget in Washington over the past year. Watch the entire webinar below. This webinar focused on recent reporting about the effects of climate change on public housing, and how elements like socioeconomics, race, and property ownership/renting status affect displacement. No recording available. Recap: How can climigration be informed by existing equity models? Miyuki Hino is a doctoral student at Emmett Interdisciplinary Program in Environment and Resources at Stanford University studying climate change risks and adaptation decisions, with a particular focus on transformational adaptation measures such as managed retreat in coastal areas. Before arriving at Stanford, she worked as a research analyst at the New Climate Economy exploring the economic benefits of climate change mitigation policy and developing tailored messages for government officials around the world. Her professional experience also includes adaptation consulting to identify and mitigate climate risks to international development projects and research on flood risk management decision-making at the Environmental Change Institute. Miyuki received a B.S. in Chemical Engineering from Yale University. This webinar featured guest speaker Miyuki Hino, a Stanford doctoral candidate who has published the findings of her research examining the drivers, barriers, and outcomes of 27 different instances of managed retreat from around the world. Hino constructs a birds-eye view conceptual model, meant as a foundation for understanding case-specific complexities. Recap: What were her key findings about managed retreat?